The Toshiba Corporation was originally founded in 1939 through the merger of Tanaka Engineering Works and Hakunetsusha (later renamed to Tokyo Electric). Over the course of the 20th and 21st Centuries, the corporation has seen significant expansion into a number of technical fields to include being one of the top five producers of consumer laptops in the world. Similar to other major brands of laptop, a common task that arises for laptop users is determining how to reset a Toshiba BIOS password. The Toshiba Portégé is the ultra-light laptop line produced by the company and is targeted to business professionals. Toshiba will sometimes feature new technologies in the line that if successful will subsequently be used on other laptop models produced by the company. For example, the R500 was the first Toshiba laptop model that included a DVD drive with an overall laptop weight of less than one kilogram. The M780 and R700 Portégé models include flip and twist screens that allow the laptops to be used in either tablet or laptop mode leveraging a 12.1 inch LED-backlit display with an overall screen resolution of 1,200 x 800 pixels. The models include a stylus to allow the end user to take manual notes. The hard disk sizes exceed 300 GB at the time of this writing and continue to be scaled to sizes previously only seen by larger laptops or desktop models produced by Toshiba. One of the more popular features of the M7XX series of Portégé laptops includes the UltraSlimBay port/slot. The slot can be used to accommodate a second battery, DVD drive, second hard drive, or left empty to save on overall weight of the machine. This capability was not previously included in the ultra-light laptop models produced by Toshiba or other laptop manufacturers. The Toshiba Tecra laptop line is marketed as a business performance laptop. There are three notebook models included in the Tecra line, with the overall number of models available for consumer purchase varying on the location in the world the person shops (Europe, Africa, Middle East, South Pacific, and North/South America). The current focus of the company on the Tecra models is to upgrade the older models or release new models. Toshiba will typically upgrade legacy models of the Tecra line by offering the most recent version of the Windows OS or the Intel process on the model(s). Several features included in the Tecra line of Toshiba laptop include the PC Health Monitor, fingerprint readers for security, and the eSATAp Sleep-and-Charge combo port. Display options across the Tecra models include choices between a 14.1 or 15.6 inch high resolution screen as well as chrome buttons and a durable texture finish. 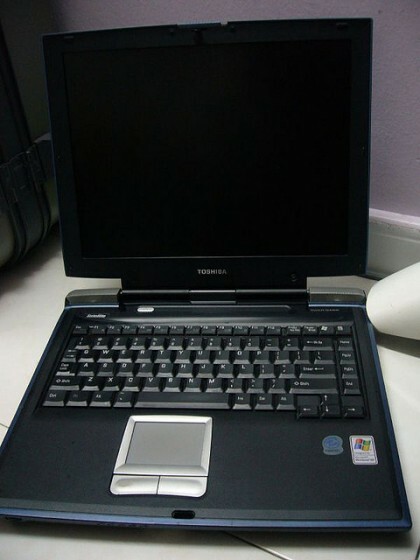 The Toshiba Satellite is one of the popular notebook computer produced by the company targeted to the consumer market. The company has included a wide variety of options in the Satellite line which range from entry-level laptop features to media-center centric notebooks which are further labeled as “Qosmio” models under the Satellite line of computers. The Qosmio line is typically twice or more as thick as the more basic notebooks of the line and include multiple graphics cards, two hard drive bays, LED backlit keyboards, a large number of input/output ports, and a higher grade sound system to include a built-in subwoofer and amplifier. The Quosmio product line of the Satellite brand of Toshiba also features an 18.4 inch full HD display, with the Q35 line including a digital video recorder. More recently, Toshiba has started to tailor the Quosmio notebooks towards the high-end gaming niche to include high-end GeForce FX graphics cards by nVidia and sufficient dedicated DDR video memory to support high-performance, 3D gaming. The X500 Satellite brand model was the first of the product line to include both the ability to play back HD Blu-Ray discs as well as having the ability to write to Blue-Ray discs. The Toshiba Libretto is the subnotebook product line produced by Toshiba with a history dating to 1996. After taking the later portion of the 2000’s off from producing the Libretto, Toshiba resumed production of the product line in 2010 with a limited-edition, dual touch screen tablet W100 model. Notably, the “new” Libretto, was used in the TV series, Total Recall 2070 as the “Palm Top” in use by the actors in the TV series. The Libretto features a 7 inch screen, Pentium processor, runs on Windows 7, and comes in at 1.8 pounds of total weight. The Basic Input / Output System (BIOS) is designed to be the first executable code loaded with a computer running the Windows operating system (OS) is turned on or restarted. There will initially be a self-test of the computing system when powered-on which takes care of identifying and initializing system hardware components such as the computer processor unit (CPU), video card, RAM, keyboard, and mouse. After the initialization tasks are completed, the Windows BIOS will then verify or check the boot devices in the previously saved or configured order. Most Windows computers default to using the computer hard drive for booting; however, the CD/DVD drive can be manually changed to be the first drive loaded in the event the end-user needs to boot the computer from a rescue disc. The BIOS executes the boot loader software after located. Once the boot loader is run, control of the computer is passed to the Windows OS. The end-user can change various functionality through the BIOS configuration panel, or user interface to include: selecting the order of boot devices, setting or changing a BIOS password, disabling or enabling computer system hardware, or changing the system clock. The original Windows BIOS was stored in a read only memory chip (ROM) on the computer motherboard. Today, the BIOS is saved on either EEPROM chips or flash memory that allow updating after the computer has been sold. An emerging successor to the original BIOS system is the EFI (Extensible Firmware Interface). The EFI includes a number of improvements over the traditional Windows BIOS; however, has not yet found widespread deployment across computer manufacturers. Step 1 – Insert the 1.44 MB floppy disk into the disk drive. Step 2 – Format the disk using the disk formatting utility in Windows. 4B 45 59 00 00. Step 4 – Configure the computer to boot from floppy disk in the BIOS editor. Step 5 – Insert the floppy disk into the drive if you removed it previously. Step 6 – Restart the computer. Step 7 – When prompted for a password, enter “Y” followed by pressing the “Enter” key. Step 8 – Once the BIOS configuration screen opens, change the password to the one desired and save the changes made to the BIOS. Step 9 – Restart the computer and the Toshiba BIOS will be changed. Another option to resetting the Toshiba BIOS password on older models is to use a parallel loopback plug. Step 1 – Take a 25 pin DB25 plug and carefully pull it apart. 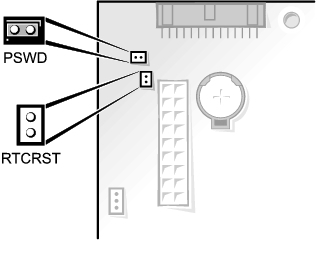 Step 3 – Insert the plug into the computer’s parallel port with the computer off. Step 4 – Restart the computer and the password will be removed on boot if the Toshiba computer was produced between 1995 and 2002 and has a parallel port. The application also includes the capability to backup, restore, and erase the CMOS. Step 1 – Download the zip of the program. The application will compile and run under the following operating systems: Windows, Linux, FreeBSD, and NetBSD. 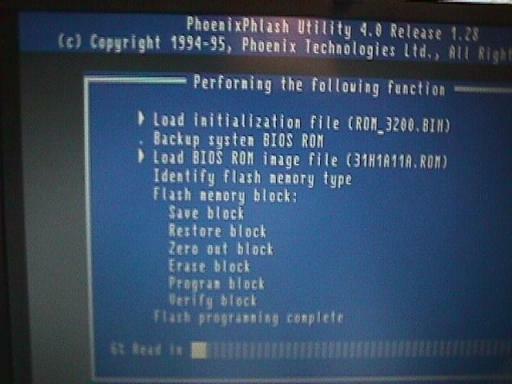 Step 2 – Restart your computer and identify the manufacturer of the Toshiba BIOS (will be displayed during the boot process). Step 3 – Add the CMOSPwd application to a boot CD and then restart the computer from the boot disk. Step 4 – Open a DOS prompt and enter: “C:” and the “Enter” key. Then, input “cd \CMOSPWD” followed by the “Enter” key. Step 5 – Input “CMOSPWD” at the DOS prompt followed by pressing the “Enter” key. Step 6 – Choose the applicable menu option for the Toshiba BIOS manufacturer noted in step 2. Step 7 – For desktop computers, the CMOS password can be “killed” by entering the “CMOSPWD /K” command followed by the “Enter” key. This action is not recommended by the software producer on laptops. Step 8 – Change the BIOS password to the desired setting and save changes before proceeding with rebooting the computer. That’s not a Service Tag, that’s an Express Service Code. Your Dell Service Tag is a 7 digit number. 140 queries in 0.485 seconds.